About Us - Johnson Insurance Agency, Inc. 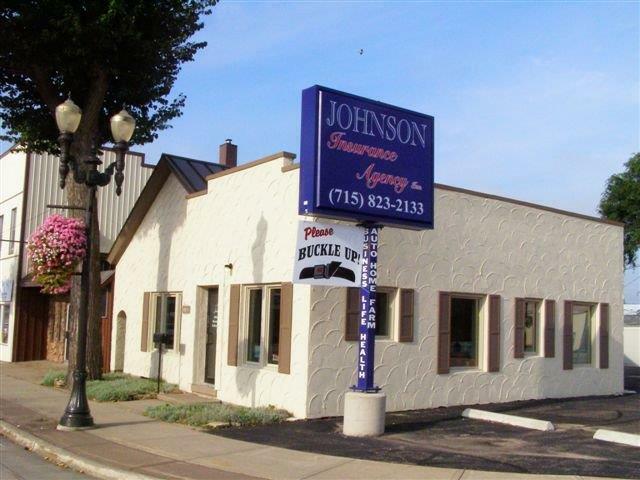 Established in 1946, Johnson Insurance Agency, Inc. was founded on providing the right insurance at the right price. Since that time, we have grown to a full service agency offering all lines of protection for our clients throughout Wisconsin. Providing complete protection packages at competitive rates with professional service is our hallmark. In addition to personal and business protection, our agency specializes in "Truckers" coverage. We represent the finest truck insurance company in the country and stand ready to solve your insurance problems. Our office hours are 8:30-5:00 daily. We are available evenings and weekends by appointment. Johnson Insurance Agency, Inc. is a professional organization dedicated to providing the highest quality insurance products at the most competitive price. To provide the best-educated and knowledgeable personnel, maintaining a level of service unavailable through any other source. To deal with our clients fairly and honestly and be a respected member of the community. We are an Independent Insurance Agency We do not work for an insurance company; we work for you. We work on your side when you have a loss and follow through to see that you get fair, prompt payment. We represent a carefully selected group of financially sound, reputable insurance companies, and we place your policy with the company offering the best coverage at the best possible price.